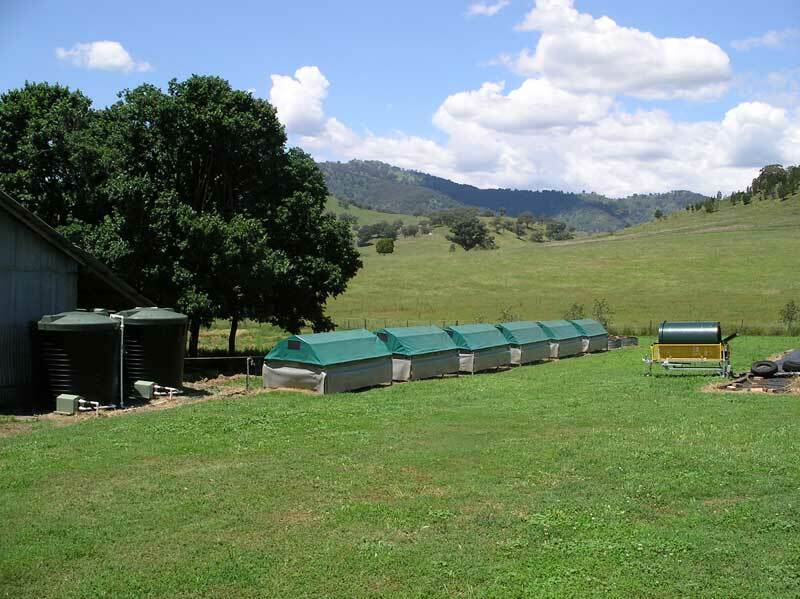 Woolooma Worms is a commercial sized worm farm operated by David and Marianne Carter in conjunction with the livestock enterprise, located at Woolooma, 40 kilometres east of Scone. The worm farm was established in October 2008 with the view to produce enough fertiliser to use on our property and since then our worm and cast stocks have continued to grow. At Woolooma Worms our aim is improving our soils – NATURALLY, through the use of worm products. Issues such as green-waste going into landfill, water pollution and soil degradation can be reduced by the use of worms and worm products leading to a more sustainable future. We installed the Vermicrobe International system, which uses raised beds to collect the liquid cast (our soil activator). This system also produces solid worm cast and live compost worms. Whether you want to recycle your kitchen scraps, garden waste, pet droppings or stable manure – compost worms can do the job for you. You can then use the recycled product to fertilise your garden – naturally! Compost worms can be kept in a dedicated worm farm to recycle your kitchen and garden waste. You can even set up a ‘pet poo converter’ to get rid of your pets’ droppings. Or add the worms to your compost bin to speed up things. They can even go directly in your well mulched raised garden beds and produce the cast directly in your garden. By adding worm casts to potted plants, vegetable gardens, flower gardens, shrub beds or under trees, the natural fertility cycle can be kick started. In our modern use of artificial fertilisers we have inadvertently killed off almost all soil microbial life. Without this all important soil microbial life, plants need artificial fertilisers to keep growing. Plants also lack the natural protection from diseases and pests that a healthy soil environment offers. So by adding worm casts you can expect to reduce the need for artificial fertilisers. Reduce or even eliminate the use of herbicides and pesticides. Eliminate almost all of the chemicals frequently used to combat the diseases that attack our modern plants. Worm casts will even help the soil to retain a greater moisture level, thus reducing the amount of watering needed for your plants.